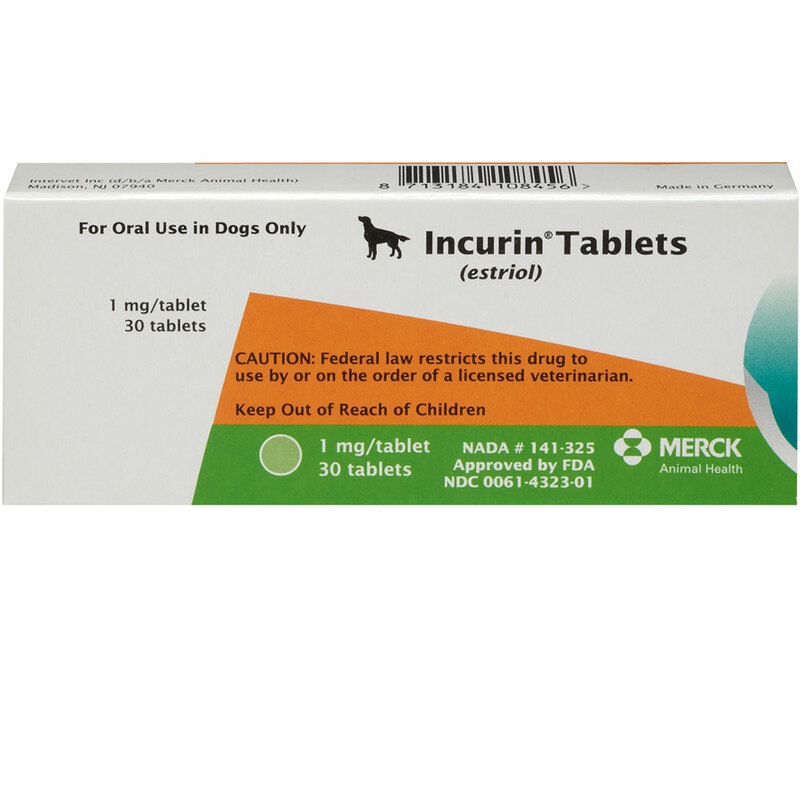 Incurin Tablets For the treatment of hormone-responsive urinary incontinence due to sphincter mechanism incompetence in female dogs. 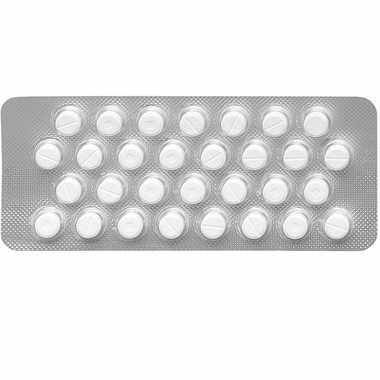 The active ingredient in Incurin, estriol, is a naturally occurring, short-acting estrogen. 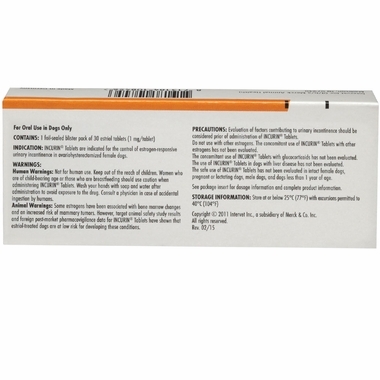 Estriol can help restore estrogen levels in spayed dogs to support a dog’s natural processes for maintaining urethral tone for urinary control. It differs from most other estrogens because it binds with estrogen receptors for a short time. 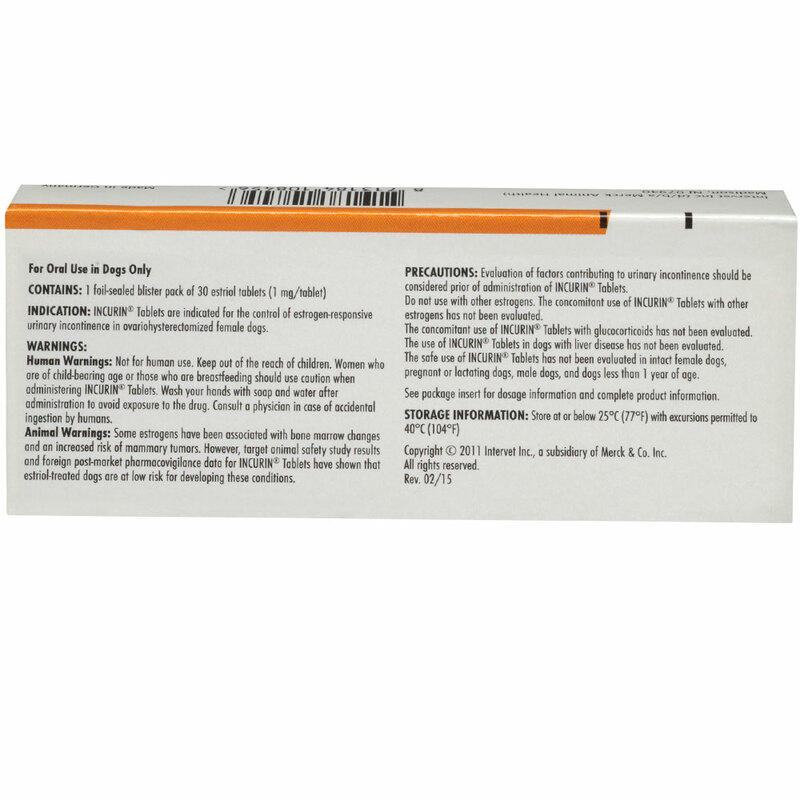 INDICATIONS: Incurin Tbalets are indicated for the control of estrogen-responsive urinary incontinence in ovariohysterectomized female dogs. HUMAN WARNNGS: Not for human use. Keep out of the reach of children. 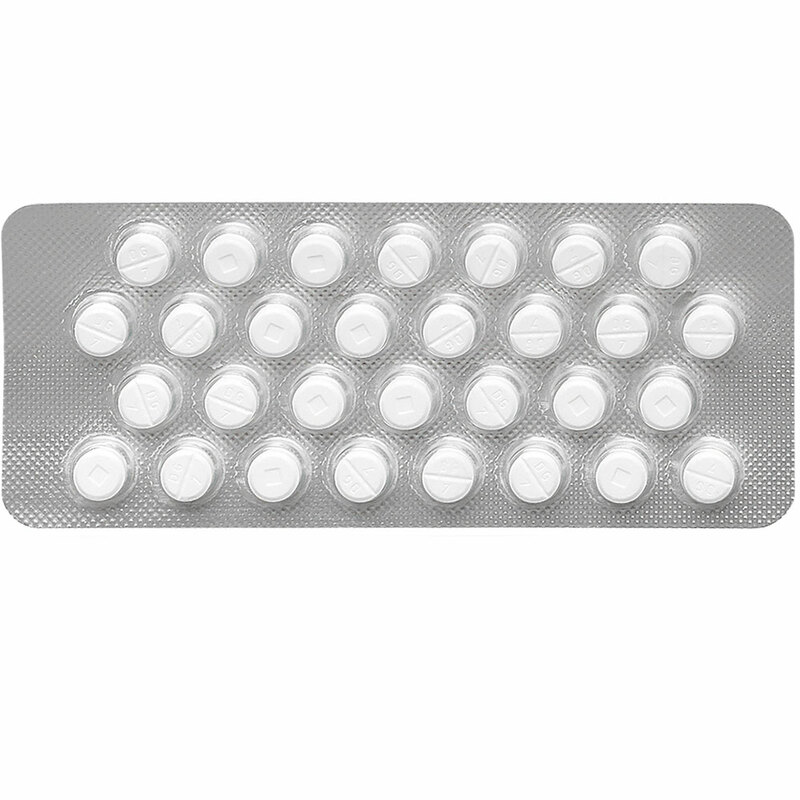 Women who are of child-bearing age or those who are breastfeeding should use caution when administering INCURIN Tablets. Wash your hands with soap and water after administration to avoid exposre to the drug. Consult a physician in case of accidental ingestion by humans. ANIMAL WARNINGS: Some estrogens have been associated with bone marrow changes and an increased risk of mammary tumors. However, target animal safety study results and foreign post-market pharmacovigilance data for INCURIN Tablets have shown that estrial-treated dogs are at low risk for developing these conditions. PRECAUTIONS: Evaluation factiors contributing to urinary incontinence should be considered prior of administration of INCURIN Tablets. Do not use with other estrogens. The concomitant use of INCURIN Tablets other estrogens has not been evaluated. The concomitant use of INCURIn Tablets with glucocorticoids has not been evaluated. The use of INCURIN Tablets in dogs with liver disease has not been evaluated. 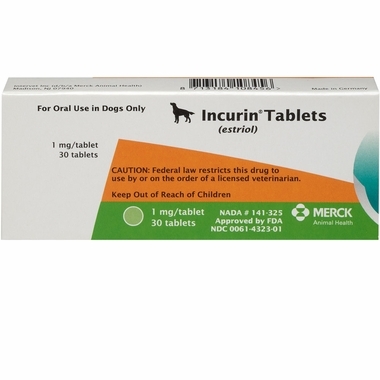 The safe use of INCURIn Tablets has not been evaluated in intact female dogs, pregnant or lactating dogs, and dogs less than 1 year of age. Incurin has been an effective product for my 13-1/2 year old Terrier. This prescription was prescribed by our veterinarian. It took approximately three weeks to work completely without urinary leakage accidents. The urinary incontience was primarily due to my dog's age and being able to fully empty her bladder due to hip arthritis/dysplasia. I am very pleased that Incurin is available through Entirely Pets Pharmacy where I pay considerably less than what the veterinarian charges for this medication. Thank you Entirely Pets! ConsThis is not really a negative. In our case, the medication efficacy was gradual and by three weeks, no more accidents and urinary leaks. My experience... give this medication time to work. Simple and fast (and accurate!). My BullMastif had incontinence problems after spay surgery. She has used Incurin for about a year now and has not leaked at all. She has regular blood work done to make sure all is well taking the product. Works well for her.